In this review I will be demonstrating and reviewing the POWERAVR NXP LPC1768 board from WayEngineer. This is a development board for the LPC1768 chip with a huge amount of on board features. The board really gives you some features for a relatively low-cost. In the end you will find my conclusion, whether you should buy this board or not – whether you can use it as a starter board or not. To start with please watch the Video review where some of the available demonstration applications are shown. I have been working with a lot of different ARM boards, so in my mind this evaluation board had some competitors. I decided to give this board a shot because the list of on-board resources were so great. I was especially excited to know that the board had an on-board programmer (jLink) which makes it easier to get started, as you don’t have to invest in a programmer and debugger. The board came with a 3.2″ Touch Screen display, a USB cable, an ethernet cable and a 5V power supply. This is pretty normal to development boards, so nothing overwhelming about this. Though when I started looking at the detailed specifications of the on-board resources I got overwhelmed. The board came pre-programmed with a LCD demonstration, showing how fast the LCD can be updated. Both schematic for the LCD board and the development board itself is provided, which makes it easy to make the low-level drivers, as you which pins is connected to what. In my opinion the board includes all the necessary resources, for you to be able to test the LPC1768 features completely. I actually can’t come up with a thing that the board is missing – so this is a great sign. After visiting the WayEngineer website, downloading the RAR-file, I noticed how many application examples that were actually included and running on the board. Though as I had a newer version of Keil uVision, not all of the demonstrations would compile. Though most of the times this just required the removal of the chip/system files, as these had to be loaded from the compiler directory instead. If Analog inputs are used in the example this has to be fixed too, as in the Keil examples, the used Analog inputs are on one of the same pins as the LCD data bus. Unfortunately as all of the examples is using the Keil uVision compiler, you have to download a use the evaluation period to test some of the examples (as they exceed the Lite version limit). It would have been good if they had made a couple of demonstrations for the free GNU GCC compiler. Regarding the Keil uVision everything works great. The On-board programmer and debugger integrates nicely with the Keil enviroment – so it is very easy to program and debug your application. This development board is great way to get started using the NXP LPC1768 chip. It includes a great number of on-board resources, and there are at least ONE example for all of them. This makes it easy to get started developing your own applications, especially if you are a beginner, as you can just cut and paste from the different examples. The price is low-cost compared to all the features you get. And as the board also includes the 3.2″ Touch Screen display, I think it’s a bargain. The Keil MCB1700 costs around $375 USD, and it includes less features than this. So if you can accept that the board is made in China, you get a high-end development board for a low price of $70. To get the standard Keil MCB1700 running on this board you need to change the GLCD files and other stuff like LEDs and ADC. I have uploaded the modified LCD_Blinky example to show you the required changes. Nice once mate. This is more than a product review! it has lot of resources varying from board explanation to programming the actual thing! well done. I got the same board, same brand, could not display other than white color, tested it with reprogram, hardware is fine. Thank you! led blinky is fine too. Which LCD_Blinky project did you use? If you are using the one that is included in the ZIP file made by PowerAVR, who also made the development board, it works fine. Though if you are using the LCD_Blinky project from the Keil Examples/Boards folder you have to modify the GLCD_LPC1700.c file to match the changed settings – as the LCD on the PowerAVR board isn’t controlled thru SPI! First thank you for you help. but it load and run led blinky is fine. if you like to spend more time to help me just email me, I will email you the pictures as well thank again. I got one error like this from you program. I also found an example can run LCD so I can trace from there. It is nice if you make more video to demonstrate about the board and programs it in keil, many guys like me will love it, you have a good day! Are you the people who design this board? Oh, that is because you don’t have the latest Keil uVision MDK-ARM compiler version. Now I have uploaded the modified LCD_Blinky for the old version too. And no, we are not the one who designed the board – PowerAVR is, while WayEngineer is reselling this board. but still not run on the board, some kind like frozen on the board, but that is OK I have files now I will figure it out, Thank for your help! Plz, I want to know if I can Install android or another embedded OS on this board, and if this true, is there is a tutorial for something like this. No you can’t install Unix, Linux, Android, WinCE or other embedded systems as the processor is not big and powerfull enough – not enough FLASH or RAM. You would need at least an ARM9 to run theese things. I can recommend the mini2440 board which can run both Android or WinCE, and includes a 3.5″ touch display. Hi, I have the same board but i’m using IAR for the code and debug, because of the jtag (with IAR was much more easy than Keil to me). I got some issues with the IOs I need to add “|0x1400” with the pin value to work (set dir and fiopin) I read the schematic and the datasheet and this doesn’t makes sense, someone else have this same problem? I already worked with Cortex-M3 from Texas Instruments (Stellaris makes this look so easy), but this NXP have the most confusing documentation I ever seen. Well I don’t think their documentation is that confusing as you seem to say it is. For driving/controlling I/Os you should remember to initialize the proper registers first – this means enabling power for the GPIO controller and then set the required GPIO pins to either input or output. im using same board mcb1700 (lpc1768). i got an doubt is it possible to extend memory of the board by using external memory chip. Please give some solution if not possible to use. What kind of external memory are you requesting? If you need more RAM then it is unfortunately not possible with the LPC1768 as it doesn’t come with EMC, which makes the LPC devices capable of using external SDRAM. If you simply need some extra flash to save user data, images or settings I can recommend either a SPI NOR Flash or SPI EEPROM. That would make good use. And the great thing is that this board already contains a NOR SPI Flash, the AT45DB161D. Thanks for reply, My project to store data of almost (16000*8) bytes of records, please tell me it can hold. One more doubt it is in the example program for Ethernet Easyweb.c Program, I want to change few of things in that like communicating with hyper terminal of my PC with the board. communication is like I will be sending first character program will check character send is ‘%’ then it has to send back ‘S’. This is first time I’m doing this project with lpc1768. please guide me to do this. First of all, great board and great and extensive review on youtube! It convinced me. Right now I’m playing with it a bit, tried the majority of the demos and it works fine. Still, I don’t know why the second USB bootloader doesn’t work. I downloaded it from the website and burned it. When I press the reset button, I have the USB connected to the right slot, and also the third button pressed (the one near reset button). I hear in Windows that something was inserted into USB but then I get the ‘Unrecognized device’ message. I wonder if Linux would recognize it as normal flash disk. I’m intending to use linux tools to program it. I’ll switch to linux in a few seconds after I post the comment and come back with feedback. Nope, it doesn’t work on Linux(3.2.0) neither. Update: I didn’t connect the jumpers for D+ and D- but now, that they are connected, it works even worse: that is, I don’t even hear the sound that some device has connected. i tried in understanding the code but i couldnt do please support me. I can confirm that the external flash with it’s 16mbit = 2MB will be able to hold your around 128KB. For the communication part I don’t actually get what you would like to do? Would you communicate with the board thru Ethernet or the Serial port? Usually you use Hyperterminal for Serial applications and Putty fx for Telnet applications. I recommend you should have a look at the Serial demonstration (RS232 port) and try that with Hyperterminal to get a feeling of what it is like. It sounds like you have a problem with the firmware. Have you made sure that you have uploaded the bootloader firmware to the board properly? When resetting the board are you holding down Key 1 and then press and release the reset button, just as shown in our video? Please download this, program it to the board and let me know if it works. I uploaded the firmware correctly: I mean, I uploaded examples and they work – the bootloader should also work. so normally, it should work because it gets there. However, I tried to flash the .hex you gave me but I just seem to find the good tool. Flash Magic needs UART programmer and I don’t have one for the moment. As in the video, the jumpers are on D+ and D-, the USB_CONNECT jumper JP10 is in the left position (i guess for slave). If I change JP10 in the other position, Windows sees it but as ‘unrecognized device’. correction: … I just seem not to find the good tool .. There is a on-board JLink programmer on the board so you should download the J-Flash tool to upload the HEX file. The jumpers for the D+ and D- should be in their right position (closest to the edge). While the JP10 should be in the left position (closest to the display). I uploaded the .hex via j-Flash provided in the archive with the documentation, software etc. But the behaviour is the same. Also, as I said I keep pressing Key1 then press Reset then release Reset. If I do it like this, LED labeled USC(closest to USB_CONNECT jumper) turns on. If I do it in another way, it doesn’t. Everything is the same and it doesn’t work. There is one singe thing that is not the same. I received a US plug and I can’t use it in Europe so I take 5V from USB and connect it to one of the two VCC pins in JTAG connector. Like so, I can power the board and use the only USB cable to access it as a flash device. ***** Error: Communication timed out: Requested 20 bytes, received 0 bytes ! Sorry for flooding the blog with comments but I’m kind of having problems here..
You could try connecting a spare USB cable to the USB programming port and then switch the jumper so the board will be powered from that USB port. I am not sure if a 5V supply on the VCC pins is a good idea – most of the circuitry is 3.3V only so you might have fried the device. Indeed, it’s not good to power at 5V. Anyhow the device is not fried since it still runs demos. There could be fried modules but I think not. Tommorow I’ll have another USB cable and see if it works like that. Yeap, this was the problem: the power. It works now. I never thought that US damned plug would cause so much trouble. The thing is I’m not home right now and I have just a limited number of tools with me.. It’d have been simpler otherwise. Hopefully we will soon be seeing some project of yours on Youtube etc. Are you sure it is I2C you are going to use for GPS and not serial? For the I2C bus there is 3 of them on the LPC1768 chip. Unfortunately all of them are occupied with other functions too which has been used on this board. Have a look at the schematic where you will find SDA0 to SDA2 and SCL0 to SDA2 on the chip. But for the I2C0 luckily it goes to the I2C EEProm on the board, so you would be able to use that bus for your I2C devices. This bus can be found on pin 24 (SCL) and 25 (SDA) on the IC which is the same pins on the P1 connector. So you will be able to connect your own I2C devices. Thanks for the quick answer. I found the pins and the I2C EEProm. And yes the GPS is connected via I2C. It is an GPS System from a quadcopter. IÂ´ll provide the code, if its working. Hi Thomas, I2C is working. Now I would ask you for grafic support of the LCD. NXP/Segger is providing free of charge an GUI designer and the grafic bibliothek for NXP1788. There is an porting instruction for porting from 1788 to an 1768 (Keil Board 1700). Is the Landtiger board compatible to that board and can I use the library from Segger? I found aout that the Keilboard connects the LCD via a serial interface. The landtiger is using a latsch (8 to 16 Bit). Do you think, that an port to the Landtiger board is possible with appropriate effort? Great that you managed to find the pins and got it working. The Keil MCB1760 board is almost similar to this Landtiger etc. board, so yes you should be able to use the same demonstration – maybe with a few changes. For the LCD it’s another story. As you say it is correct that the MCB1700 boards uses the SPI interface on the LCD while the Landtiger etc. uses the Parallel 8080 bus. And that is exactly the changes you have to make in the LCD HAL library – but only in the. HAL is the abbreviation for Hardware Abstraction Layer which is the libraries that takes care of making the connections from the main code to the outer world it’s periphirals. I guess you should be able to either replace the LCD library files with the Landtiger ones or change the required lines on your own. I have successfully changed some of the Keil MCB1700 example project to be used on this board, so I changed the LCD library files. I am planning to use POWERAVR NXP LPC1768 board V2.0+3.2″LCD for controlling electric motor, such start/ stop , forward/reverse and speed controlling via inverter. Probably it is too exaggerate for such application but I like the idea of using the touch screen as virtual push button ,motor status and controller. Frankly I am not electronic expert other than basic knowledges. Wondering if anyone can help me to achive the goal,what equipments or devices require especially the program to customized the LCD display layers interactively. That would for sure be possible to do with this board, but maybe a bit overkill as you mention too. Which kind of motor do you intend to control? A regular DC motor? For the display interface almost any microcontroller can be used. Some development boards might be easier to start with than others, and this one might be a bit tough. Instead I would recommend some of the mikroElektronika tools, such as the EasyMx Pro v7 board. I appreciate your recommendation of EasyMx Pro,thou personally I prefer PowerAVR for its smaller and compact board which might fit in tight casing and mount easily ,others than that have no idea. I intend to use AC motor and AC drive inverter to regulate its speed and control. As a blind man in microcontroller world,I wish could marrying between Touch screen GUI with AC drive probably with temperature controller and timer as well. just create for example the buttons on touch screen GUI, assigned it to the microcontroller output pins and use it to drive devices without having to learn and write microcontroller program from scratch.or I am dreaming too high. I browsed your recommended website few times and gave me more pictures about the microcontroller tho raise more questions about it. I am not sure the right place to discuss its products here.Anyway I just want to thank you very much for your help. Great work here, helps a lot. But i am wondering a little bit about the missing “touchpad”-feature, is there no library for the touchpad? Do anybody knows how it works? And…maybe anybody have the original-demoprojekt from PowerAVR, so that we can have a look in it (and its librarys 😉 )? 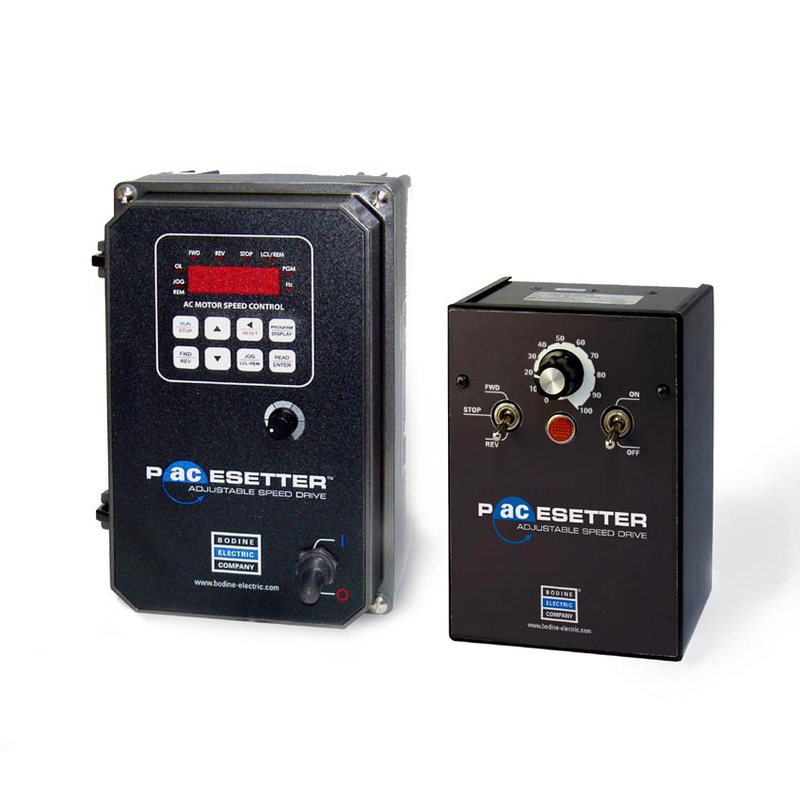 Well it sounds like you would like to connect the microcontroller to an already made AC drive inverter solution? Then you would first have you figure out how you can connect the two devices. Serial, PWM, PPM, Digital IO? Next step would be to make the low level HAL drivers on your microprocessor to communicate and regulate the AC motor. And the final step would then be to add a GUI interface. We would be happy to help you with this project at a reasonable cost. I don’t know what you refer to when talking about a missing “touchpad”-feature? Do you mean the Touchscreen on the QVGA display? There are no missing demonstrations with this as it is used in the uCOS demonstration of the LCD display functionality – and this project is even included in the original CD from PowerAVR. ÂµCOS wont work here, it seems that my Keil-Toolchain isn`t right configured…i`ll have a look on it at weekend. The “Touchpad-Feature” (wrong formulated, sry…how to read positions on the touched LCD) i have found in the ARM-example “Touchpanel”. My CD is a “Banana-Digital” 🙂 with most chinese filenames and chinese discription (even the site http://www.powerAVR.com, clicking “english” i become redirected to http://www.hotmcu.com/…nice, but w/o any downloads) so it is very hard for me to find any thing on it. Sound interesting to me if the reasonable cost fall within our budget and time frame of the prototype. In short I need device with Touchscreen GUI to control AC motor directly or thru ready made inverter,Temperature controller, Timer and potensio as an input to track its position. We discuss furthermore over the email. I think you have to press Key 2 (P2.12) to enter USB bootloader. i’m working on same board MCB 1700, we are starting on TCP/IP communication part, i don’t know how to start? will u please guide me on this topic. Have you had any chance to look at the examples that is provided and comes with the board? Examples, including TCP/IP web server demonstration, can be downloaded. I hope these examples can give you a better starting point for your project. hi, i have some files which support keilMDk 2 & 3 but i have keilMDK 4.1v, i want to compile those files in keilMDK 4.1v what i need to do? i want TCP/IP protocol FTP sample code for MCB1700 board. please guide me. I downloaded from that link, it contains projects which support Keil mdk2 &3 version but i have version 4.12, i can’t able to check it up please give solution for this…. One solution I found to the problem was to use an original MCB1700 example provided with Keil, for the version you have, as a reference for “porting” the projects from the ZIP file to the never Keil version. You should simply move and copy the code but remember to let the linker files and device periphiral drivers stay. Have in mind that the initialization routines should be changed to match any changes to the Keil compiler structure – but only if any compiler errors appear when you have merged the ZIP file project into an original Hello World MCB1700 project. I need more memory for my LPC 1768 project. Can I add 4M of E2PROM for LPC 1768? If yes, can I use external E2PROM in the same way as internal SRAM? I watch your video, and I must say that is a good tutorial. From the examples of WayEngineer, I compile the project EasyWEB, and nothing happens with that ip address 192.168.0.100 who is in the tcpip.h module. Can you provide the project from your video presentation for EasyWEB ? You can’t add and use an EEPROM as the same way as you do with the internal SRAM. And this has never been the intentions of an EEPROM either. An EEPROM is usefull for saving configuraiton parameters etc. that won’t be changed a lot, as the EEPROM has a limited number of erase cycles together with the relatively slow time it takes to execute a write cycle. I would definitely say that it depends. Usually we won’t even read the documentation/manual as long as we have a schematic and some demonstration code. For this development it comes with both, and you can even also use some of the example projects provided by Keil Uvision for the board. So of course we are sorry to hear that you haven’t managed to get your board working, but I would not solely blame the missing English manual for that. I guarantee you my background so well , and all program examples are good and I use them always , but I trouble glcd becuse there is no any explanation about glcd , header , c , or image2lcd program . Well, the example projects I’m showing you in the video uses the GLCD – and those are examples from the Keil MCB1700 examples folder, just modified slightly to work on the GLCD of this board. I want to ask a question , how to use image2lcd program I mean that which option I should use to use image file in the your example . Thanks .. Inside the LCD_Blink example fx you will find a Bg_16bpp_b.c file etc. This is an image file that can be displayed with the GLCD_Bmp(x, y, w, h, *bmp) function. You should actually be able to use the image converter I have made, except for some minor changes you will need to make after the file has been generated. When you start the program you should can open any JPEG or BMP file. Press the “Save Binary Image File” and select a location for the generated header file. 1. When the file has been saved you should first rename it from ‘.h’ to ‘.c’. thanks so much , but again Ä± was unsuccesfull . I follow your step explained me but image is not displayed . I use the LCD_Blink example Bg_16bpp_b.c file ,this time image is displayed . I think that problem is my image because they are not form 16 bpp . I can found any converter to image this form . can you share with me if you have such a converter ? You should download and use our Binary Image Creator as described in the post above. I already use your Binary Image Creator and I follow your step that you was explained me ,but image is not displayed . I think that problem is my image because they are not form 16 bpp . They are almost 32 bpp I can not find any converter to image this form .If I can find converter my image to 16 bpp format,then I can use your Binary Image Creator to create c file and image can be displayed. can you share with me if you have such a converter ? The Binary Image Creator I have made converts the chosen image to the required 16-bit format, so there should be no issue there. Then I don’t know which kind of image converter you can use to generate proper formatted images. can you send me a image that is dispayed by you ? and how you showed it explain me ? If you sen me ,I can try on this image . do you check your GLCD lib in Vertical mode? when i use it in this mode (HORIZONTAL 1) it doesn’t work correctly! http://www.tkjelectronics.dk/uploads/BinaryImageCreator.exe is broken. Would you please send me a copy of your BinaryImageCreator please? I would like to know how to use and what the formula for converting used. The download link should be fixed again now. Can you please try and download it again? In general what the converter does, is to take and read every pixel from the image and convert them to 16-bit (2 bytes) color codes. These color codes are then written in the correct order into, ready to display. Thanks for this fantastic information,helped me a lot. How can I change LCD to vertical mode? It is not that easy to do with the current LCD library. First of you would have to send some changed parameters to the LCD to change the orientation. But furthermore you would also have to change the way the library writes to the display and sets the cursor. how to connect hayperterminal and lpc1768 m3 board.can you send me example code..
You need a USB to RS232 adapter to connect the UART port of the board, to your computer, and read it with HyperTerminal or similar. It is quite a while ago since I’ve worked with the development board. How do we go about this animation exactly.. any rules we need to follow? i was just replacing the original ARM_Ani_16bpp file with some sprite i took from the net.. i was expecting that the display above will actually gives some cuts of the whole image.. guess m still a newbie.. The ARM_Ani_16bpp array contains all the 16-bit pixel data for all 8 images which the animation consists of. The picture is 120×45 pixels hence the array notation [pic*(120*45*2)]. By doing this it will jump to the next image in the animation indicated by the index ‘pic’. So you would need to create eight 120×45 images, convert them to a 16-bit C-array and then append them all together. Hi Thomas , to compile in keil and press load , the message ” core is locked ” is displayed. Originally the card was bringing Micrium loaded operating system. As this Micrium is removed so it can be programmed ? Core is locked could potentially mean that the device has been write protected. In this case you would need to open your JTAG programming environment and force an unlock of the device, usually by executing a Full Erase. Hi. Thanks for the amazing video demonstration. where can I download the example of the board (because it didn’t ship with the board) and also I’m having a problem after updating the firmware of the board (http://forum.segger.com/index.php?page=Thread&threadID=2467) ? i have a Landtiger lpc1768. BUT i cant program it, what i mean..i am trying to program it with some examples like blinky but when i press load button from ?Vision i got some errors. why is that ? because i CANT find this ?Cortex-M/R J-Link/J-Trace? and i cant find this ?LPC17xx IAP 512KB Flash?